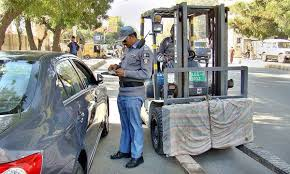 In a bid to implement traffic rules across the country, two lawmakers of Khyber Pakhtunkhwa Assembly have been issued challan in Peshawar for violating the traffic rules. MPA Shaukat and Bahadur Khan of Khyber Pakhtunkhwa Assembly were caught by the traffic warden for not wearing seat belts while driving in Peshawar and issued them challan for the violation of traffic rules. Instead of showing resistance, the two lawmakers appreciated the traffic warden for taking action against the traffic rules violation. 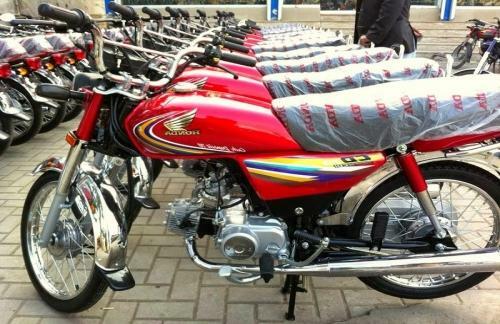 Before this, a Member of Parliament has been issued challan on not abiding by the traffic rules on the road, and two women legislators of Khyber Pakhtunkhwa Assembly were also fined for violating traffic rules. The police officer issued them challan without considering their identity of being a member of the KP assembly. The government of PTI is keen to enforce traffic rules among all the citizens of the country without any exception. According to the stats, around 50 parliamentarians have already been issued challans on Ring Road for the violation of traffic rules. In a similar sort of events, Khawaja Saad Rafique, the former Minister for Railways of Pakistan Muslim League (N), was fined by the motorway police on 19th August 2018 for over-speeding. The incident took place near Lahore where his car was stopped while he was on his way to attend the session of Punjab Assembly in Lahore. He was fined for exceeding the prescribed speed limit of 120 km/h for LTV on the motorway (M2). The car was reported to be going at 145 km/h. The former Minister had to pay Rs.750 for the above-mentioned traffic offense. The government is making sure that the law enforcement drive is working to its full capacity and every single person shall come under the same law without any exception. Drop your thoughts in the comments space below.